A DELIGHTED George Laxton (Portsmouth) has collected his first Cuestars Under-21 trophy. 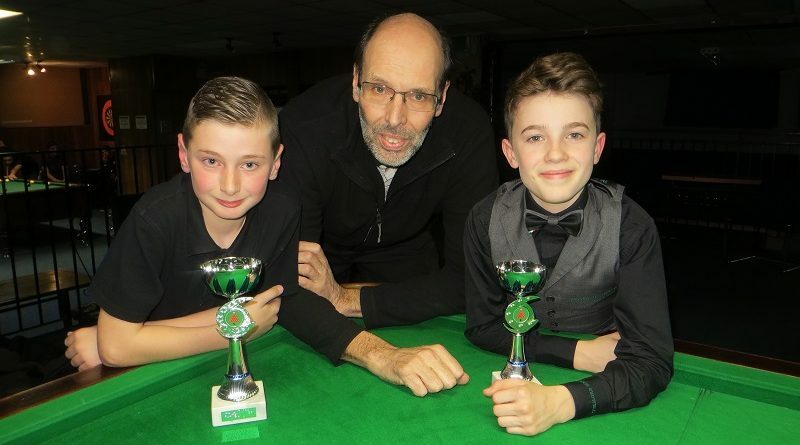 The 11-year-old Bronze player, receiving a 28-point handicap start, edged Gold Tour player Riccardo Drayton (Chandler’s Ford) in the Plate final during the eighth legs at Top Spot Snooker Club, Havant. Laxton, who recorded a new high break of 22 in the Waterlooville Sports Bar junior leagues four days previously, rolled the final black in using the rest and an extension. Six-year-old William Thomson (Eastleigh) lost on the final black to Callum White (Havant) in the quarter-finals. Despite the large turnout of 44 at the nine-table club and the M27 eastbound being closed, the event was done and dusted by 9pm. Salisbury Snooker Club hosts the ninth leg of ten on Sunday, April 7. PRELIMS: William Thomson (Chandlers Ford SC) beat Freddie Turner (Salisbury SC), George Laxton (Waterlooville Sports Bar) beat Chloe White (Waterlooville Sports Bar), Ryan Wilson (Waterlooville Sports Bar) beat Katie Griffin (Jesters, Swindon), Daniel Walter (Mayfair, Gosport) beat Will Kempson (Salisbury SC). QUARTER-FINALS: Callum White (Waterlooville Sports Bar) beat Thomson, Laxton beat Wilson, D Walter beat Kostas Ormerod (Chandlers Ford SC), Riccardo Drayton (Chandlers Ford SC) beat Sam Walter (Mayfair, Gosport). SEMI-FINALS: Laxton beat Callum White, Drayton beat D Walter. From left: George Laxton, sponsor Trevor Sanders, Riccardo Drayton.